I can’t beleive it took my 16 years to finally see this movie. Today’s movie is the oldest movie on the list. The only movie that came out in the 90s - back when I was still in college. Today’s movie, number 29 - the second to last movie of the month - is Guy Ritchie’s first feature film. 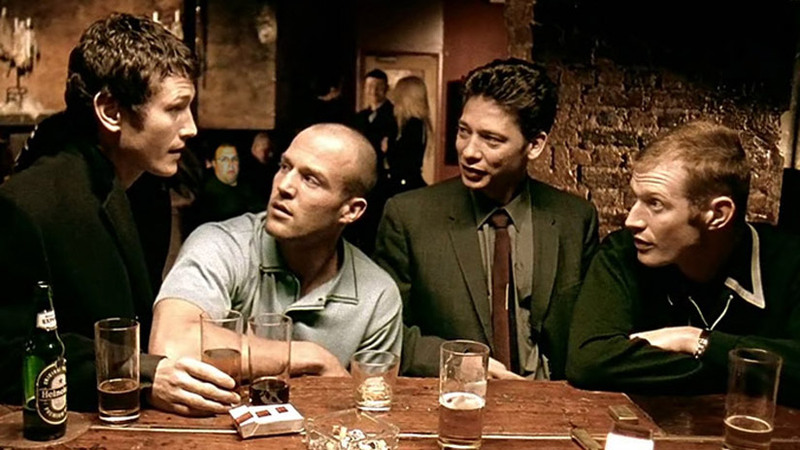 1998’s Lock, Stock and Two Smoking Barrels. I can’t really say enough how much I loved this movie. And I’m so pissed at myself that I’m only getting to experience now. At this point in my life, I should be quoting this movie. Reciting the dialogue as I watch it for the “who knows how many” time. But no. I’m finally telling you that this movie was great. Finally telling you how much fun and how funny this movie was. The way the movie flowed. The performances from everybody. The direction. The music. There was not one thing I didn’t like about this movie. It may have only been the first time I’ve seen it - but it will be the first of many. And now, after watching this today, I have one movie left. One post left in the month. And then it’s all done. For another year I’ll probably see movies sparingly as I plow through television shows….But for one month this year - and every year to come - I get to see a much of awesome, great, fun movies…And X-men Origins: Wolverine…. The Hunger Games: Catching Fire was going to be the last movie I rented on Amazon that was fully paid for from a $50 gift card I received. Well today, Amazon emailed me to let me know that they’re refunding me for that rental because of poor video quality. So I once again have enough money to cover one more rental. Rental 30. For the last day. And I have no idea what to watch yet….But I’m about to go decide. I know one thing - it probably won’t be as good as Lock, Stock and Two Smoking Barrels.